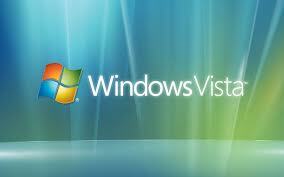 Windows Vista, is pretty much the most unsuccessful OS that Windows have ever launched in the modern times. XP was great, but the transition to the supposedly beautiful looking OS wasn’t as good as Microsoft might have imagined. Nonetheless, there are still many users who have been faithful to Windows Vista, and there is no reason that they won’t need to setup a VPN connection for the operating system. In this tutorial we will discuss how to setup PPTP connection in Windows Vista. The terminology of Windows Vista is a little different from Windows XP and 7. Go to Connect To in star menu. Here you would find the list of networks which are available for connection. In this window, click on ‘Setup a connection of network’, and choose ‘connect to a workplace’ and press next. Here you would get the option of choosing between, dialing directly or using your Internet to connect to the workplace. Click ‘using my internet connection’ (VPN). In the page that appears next, enter the details for the VPN service. Here you would have to enter the server name, and server address. These can be found in the configuration mail which is sent to your by the VPN service provider. Most of the times, people name their VPN connection by the name of the service which they are availing, however, it is not really necessary to do so. You can choose to name the connection by anything that you want. In the next page, you would be asked to enter the username and password. You may choose to click ‘Remember this password’, otherwise, you would have to enter the username and password almost every time you use the VPN connection. After you have entered these details, just click ‘Create’, to start the service. In order to connect to the VPN server, you have to go to ‘Connect to’ in start menu again and find the name of the VPN connection which you had just created. And just click ‘connect’, and you are done! It is actually so easy to setup VPN in Vista, that if you subscribe to a VPN service, you should use it on your Vista computer. The reasons are very simple. VPN connections add an extra layer of security when it comes to internet browsing. Using VPNs is therefore advisable.